To be fair I really don't think this needs much more explanation than 'this is incredible, and everyone should buy it'. 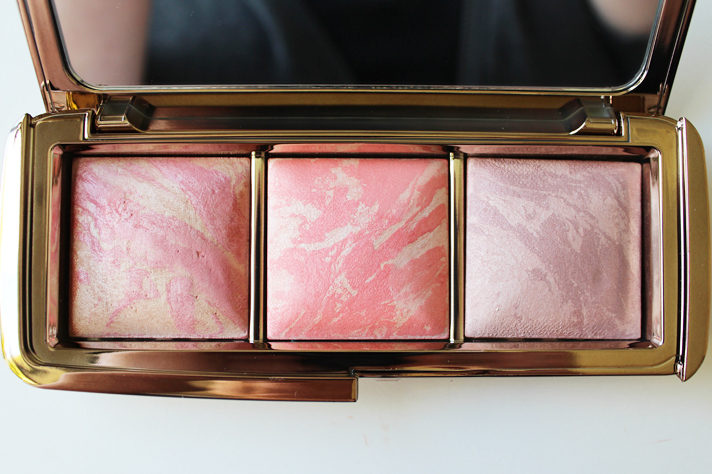 It really is a beautiful palette; it houses three smaller sized pans of the Ambient Lighting Blushes - Luminous Flush, Incandescent Electra and Mood Exposure. Incandescent Electra is the one limited edition shade in the palette and typically, it is my favourite and one I reach for a lot. 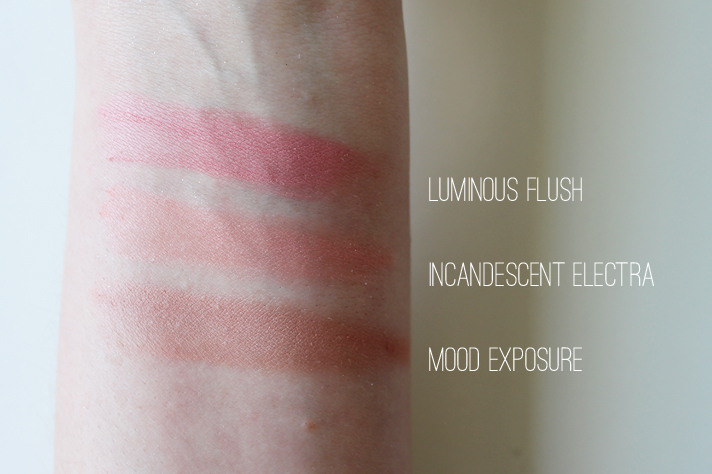 So what makes these blushes so special? Well simply put, they look extremely natural and very flattering on the skin. 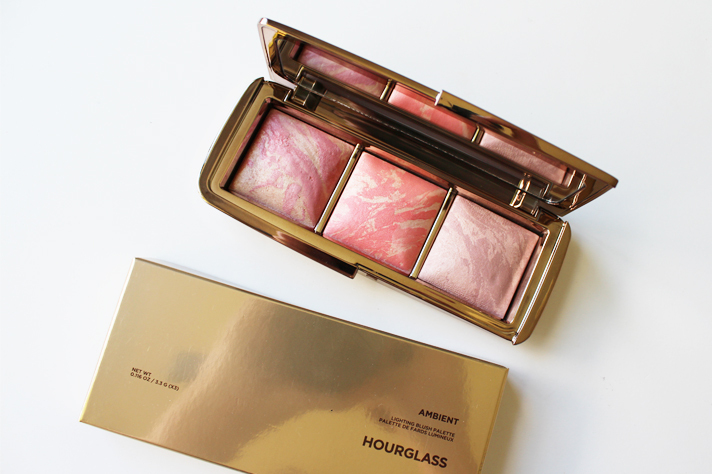 Because each is shot through with one of the Hourglass Ambient Lighting Powders (yet to try, but desperate to try...), they act to soften the colour while also complementing and enhancing the skin for a natural glow. The palette gives a range of colours, you have a rosey pink, peach and a lighter plum tone. It is a great way to test out a few of the shades on offer rather than under going the difficult task of selecting just one from the full sized pans. I find these blend onto the skin beautifully and by the end of the day I can still see the blush on my cheeks. And let's face it, the packaging is stunning; simple, but beautiful, which I think is something Hourglass nail. I bought my palette whilst in the States from Sephora for USD $58.00 but if you are in NZ, you might be lucky to get your hands on one from Mecca Cosmetica, trust me, it is so worth it! 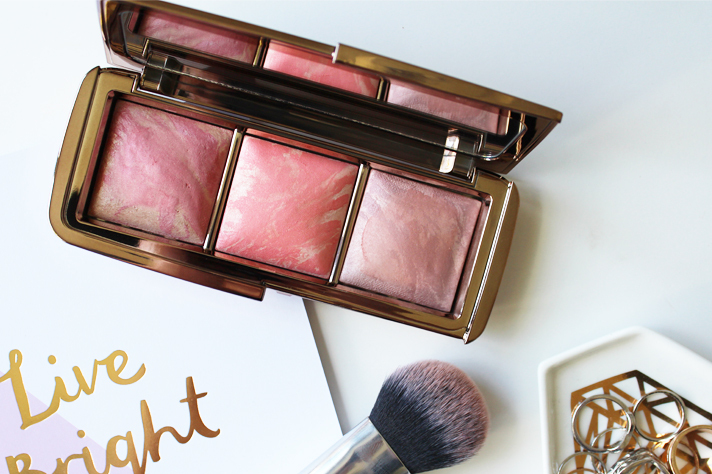 Have you got this palette in your collection yet?